A $5 million pilot project that is supposed to make the skies safer, cheaper and more efficient took off today at Oakland International Airport. It's called NextGEN and eventually it will replace older technology nationwide. Right now the project will be tested at Oakland, San Francisco, San Jose and Sacramento's airports. The FAA says the news system uses satellite technology coordinated with ground based tracking. They say the new system will enable air traffic controllers to land airplanes more precisely. The result should allow planes to fly closer together and they will do it with less noise. This will save time, jet fuel and money for both the airlines and passengers, according to the FAA. “NextGEN is right now. 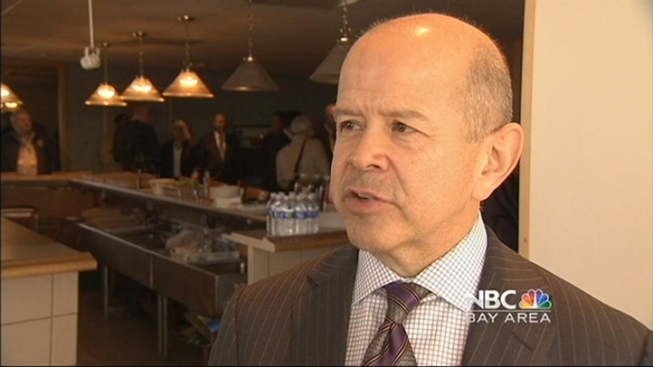 There are things that we are doing that are improving the use of the air space that will result in a lot of benefits right away,” FAA Acting Administrator Michael Huerta told NBC Bay Area. “It's one of the nation's busiest. Oakland sits about eight miles from San Francisco and San Jose is about 20 miles to the south. But we've got the group to do it. It's time for these procedures to be changed." said Steve Hefley with the National Air Traffic Controller Association. Once implemented, the FAA estimates annual savings for the NextGEN Program will total 2.3 million gallons of fuel, $6.5 million in reduced fuel cost, 23,000 metric tons in reduced CO2 and 1.5 million fewer miles flown. This is the sixth NextGEN project to kick off around the country. The FAA hopes to have this satellite based technology fully operational at 21 sites nationwide by 2016.